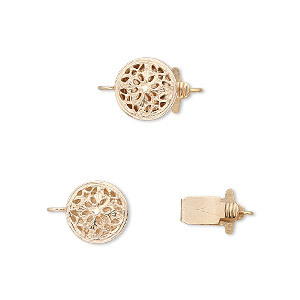 Clasp, tab, antique gold-plated brass, 11mm double-sided filigree round. Sold per pkg of 10. 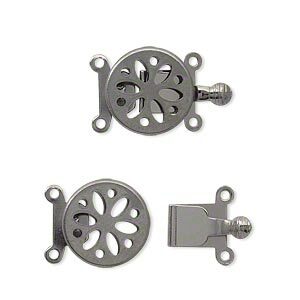 Item Number: H20-A1106FN Have a question about this item? 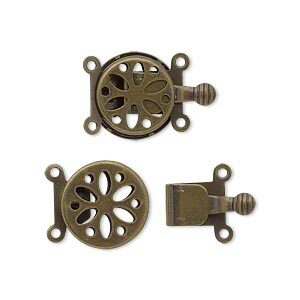 Filigree clasps are made of brass, then plated with an antique gold finish. 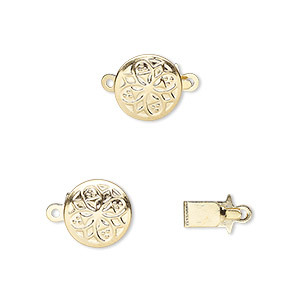 Clasp, 3-strand tab, gold-finished brass, 14mm round with scallop design. Sold per pkg of 10. 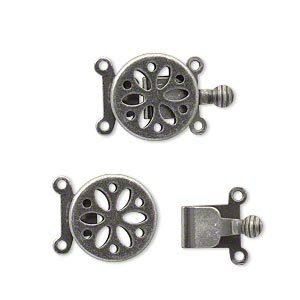 Clasp, tab, gunmetal-plated brass, 11mm double-sided filigree round. Sold per pkg of 10. 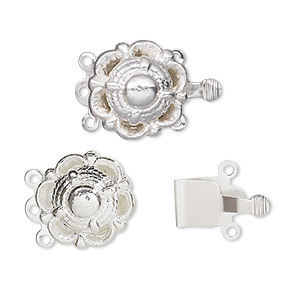 Clasp, tab, antique silver-plated brass, 11mm double-sided filigree round. Sold per pkg of 10. 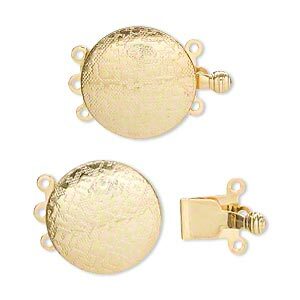 Clasp, 3-strand tab, gold-plated brass, 20mm round with "good luck" symbol. Sold individually. 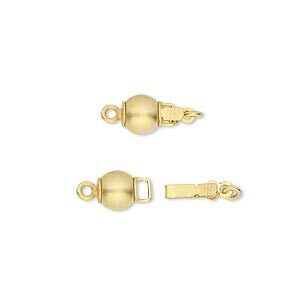 Clasp, 3-strand tab, gold-plated brass, 17mm round. Sold per pkg of 100. 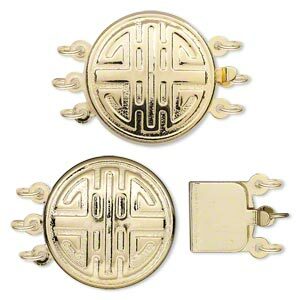 Clasp, 3-strand tab, silver-finished brass, 14mm round with scallop design. Sold per pkg of 10. 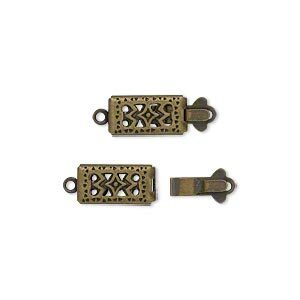 Clasp, tab, antique gold-plated brass, 11x6mm double-sided filigree rectangle. Sold per pkg of 10. 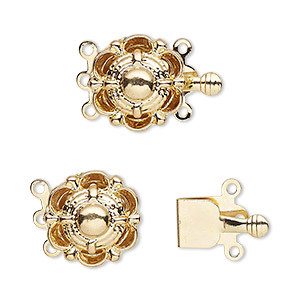 Clasp, tab, 14Kt gold-filled, 9mm round with flower design. Sold individually.